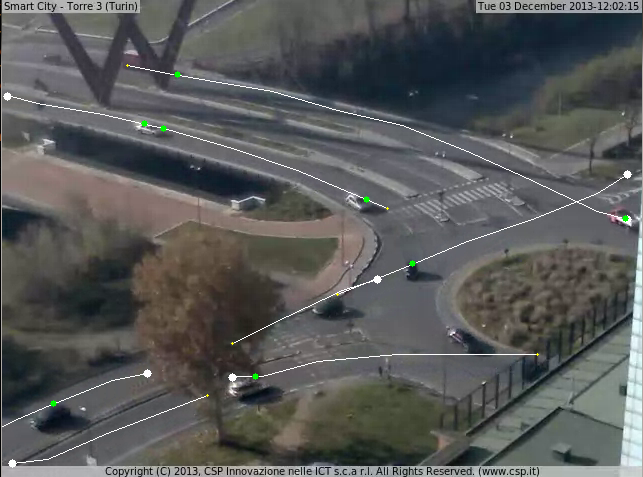 The traffic flow detection algorithm has been developing from CSP in collaboration with the Formal Methods group of Department of Computer and Control Engineering ( DAUIN ) – Politecnico of Turin. 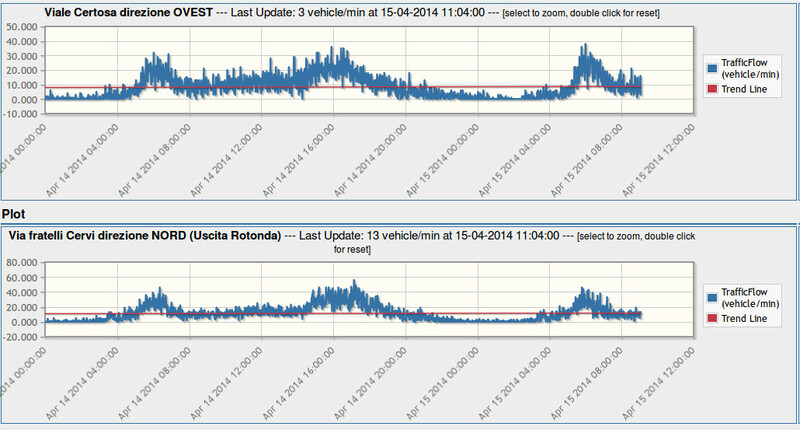 A white line shows the backbone of the traffic area detected by the algorithm and each moving vehicle is displayed as a green spot. 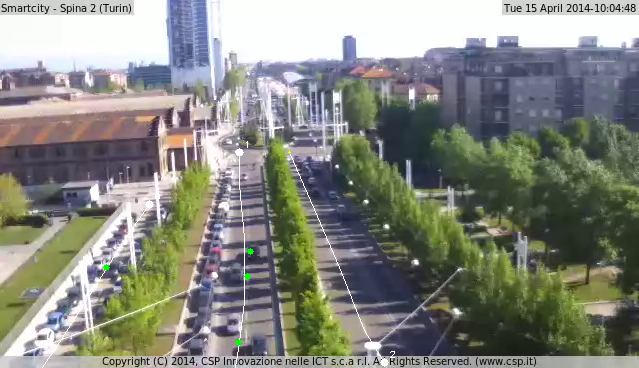 The algorithm creates a model of the roads through a static analysis, considering the areas of the video frame where there is an high number of moving object. 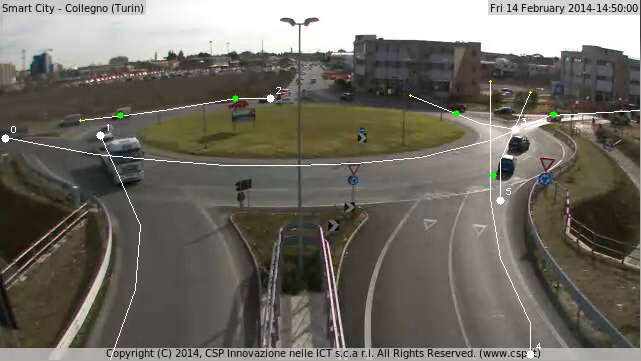 For this reason in the roundabout of Collegno is monitoring only the left lane in the input road on bottom left. All data collected by the system are sent to CSP IoT platform. The algorithm is under evaluation to measure the accuracy of the data generated and to compare the results with other legacy algorithm.